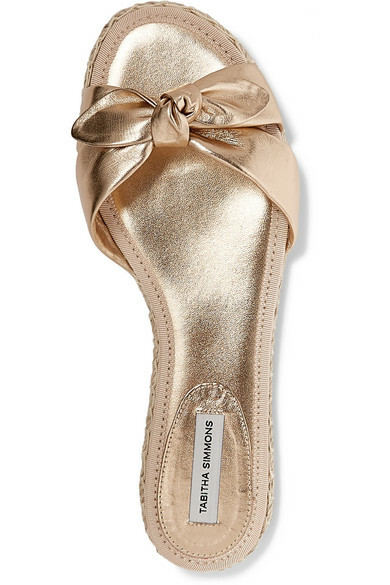 Tabitha Simmons' 'Heli' slides will look just as great on vacation as they will when running errands in the city. 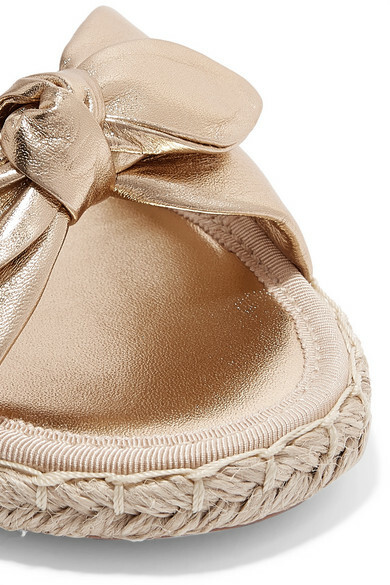 Made in Italy from metallic gold leather, this pair is topped with a knotted bow and set on a jute espadrille sole. Pack them for your next getaway and style them with everything from breezy dresses to swimsuits. Shown here with: GANNI Dress, Trademark Tote, Dinosaur Designs Earrings.